Happy New Year! Welcome to 2016. I think it's safe for my husband and I to say that 2015 was the best year of our lives. Our baby was born in 2015. It was the year when we finally became a family. 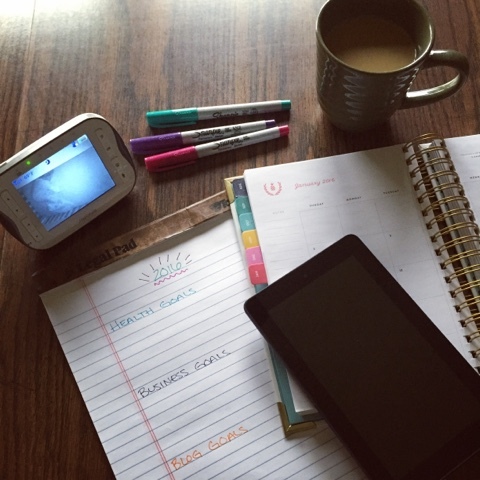 I became a stay-at-home mom, and I started my own at-home business. It was "the year when it all began". It was an amazing year! With that being said, I am very excited for this new year and all it will be for our family. This year our baby becomes a toddler. Also, Nick and I feel like we're finally getting the hang of this parenting thing (haha) so we are excited to start working more on ourselves this year. On this first day of 2016, I am hopeful and I am motivated. 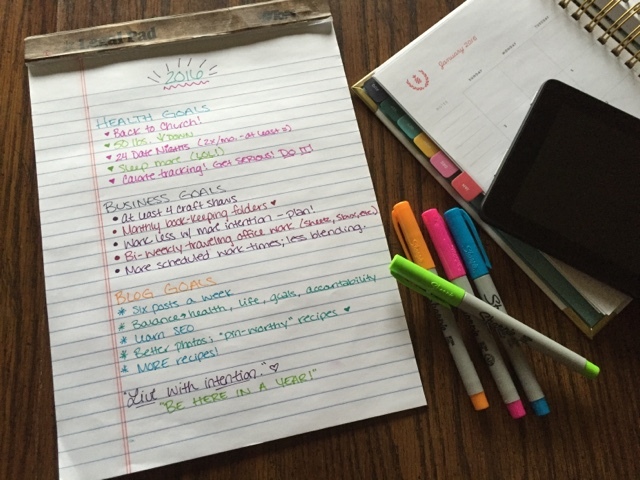 I have outlined some goals for my health, my business and this blog for the year ahead. Speaking of blog goals, I'd love to hear your feedback on the blog and what you would like to see more of in 2016. I've created a super short survey for my readers to participate in (if you would be so inclined). You can participate in the questionnaire by clicking this link: Goal of Losing Questionnaire - 2016. Your input is greatly appreciated! Readers: Share your goals for 2016 in the comment section below (and if you're a blogger, please include the link to your goals for 2016.) I'd love to see what you're working on this year! I really enjoy your blog Happy New Year and wishing you the very best with your goals! I'm so glad! Thank you for your comment. Happy New Year to you, as well!